How organisations can change their lighting systems to be greener and more efficient. 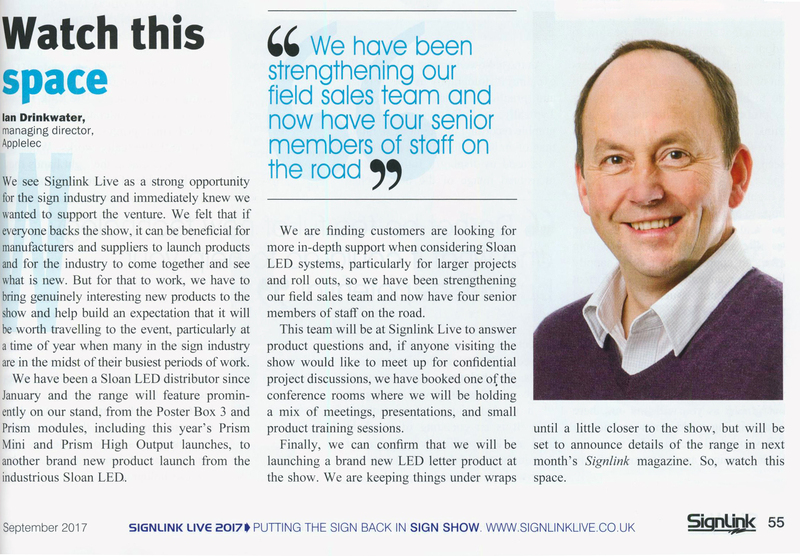 Andy Armitage talks about how Applelec embraces new technologies, our SloanLED partnership and plans for SignLink Live. 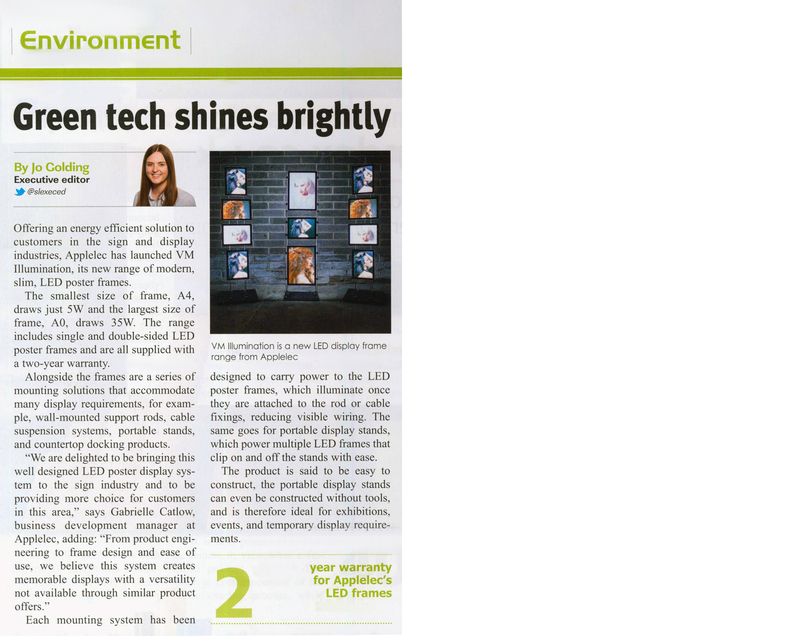 Offering an energy efficient display solution to customers, Applelec's has launched VM Illumination. Applelec's LED Light Sheet illuminates the New Dawn light sculpture for Houses of Parliament. 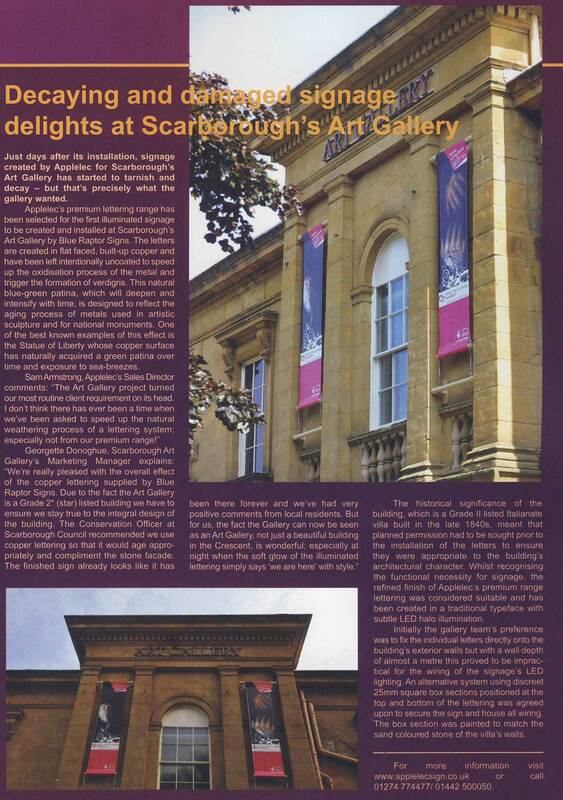 LED Light Sheet has transformed Durham Cathedral's retail space helping to achieve a huge increase in sales featured in Mondo Arc Magazine. Surface Design Show preview includes LED Light Sheet as featured in FX Magazine. 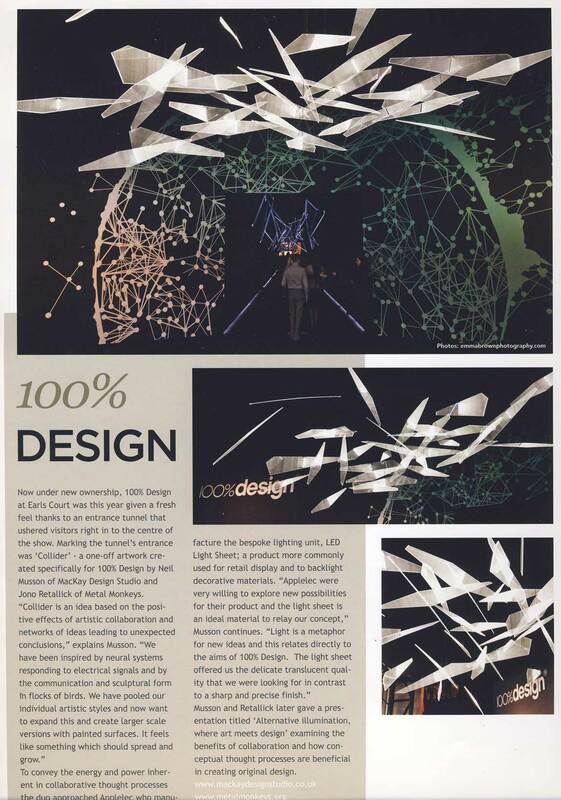 LED Light Sheet installation 'Collider' marks the entrance tunnel of 100% Design show featured in DARC Magazine. LED Light Sheet tunnel created by Applelec for Karmarama design agency featured in On Office Magazine. Applelec's Premium built up copper letters left intentionally uncoated creates verdigris effect featured in Sign Update magazine. 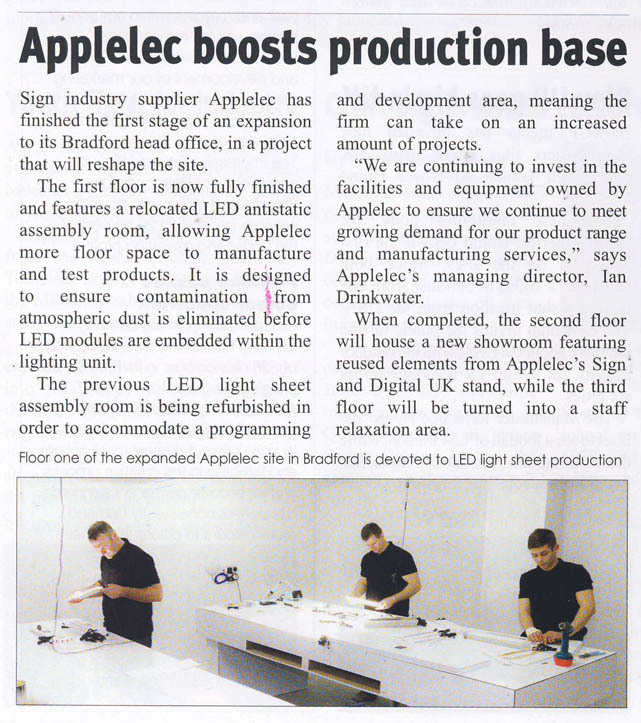 Applelec's first stage of expansion relocating LED antistatic assembly room featured in Sign Link Magazine.